1.Engage two coaches. Because team dynamics are complex, it is too difficult for a single individual to work with the team alone. While activities are progressing, a second coach needs to be watching and listening. It is also critical to have a second coach to ensure compatibility of at least one of the coaches with team members for the individual sessions outside of team meetings. Finally, team coaching at senior levels requires 24 x 7 availability of at least one of the coaches. 2.Prepare the team Leader. The team leader needs to be deeply committed to the coaching process and feel safe with it. So, start with assessing and providing feedback to the leader to increase self-awareness. Then, have the coaches spend sufficient time with the leader to “co-create” the team coaching process together. This front-end investment is well worth the time and cost. 3.Interview each team member. The coaches need to meet the team members outside the team setting, spending enough time with them to surface both objectives and concerns. This provides the coaches with important insights early in the program. If there are meaningful personality conflicts between either coach and a team member, a coaching substitution can be made at this point before active coaching begins. 4.Observe the team The coaches should attend at least two team meetings to observe existing team behaviors. This provides great perspective about both challenges and opportunities. 5.Conduct assessments and give feedback. These should encompass individual assessments, team-dynamic assessments and relationship-strength assessments. 6.Team goal setting. At an early meeting, the team should set meaningful business goals that will be achieved during the coaching process. These goals should encompass quantitative results as well as demonstrated individual and team behaviors. 7.Baseline scoring. After setting goals, the team, with the help of the coaches, should self-assess itself against the goals to get a baseline score from which to progress. This is a key step in measuring later progress and should be given the careful discussion that it deserves. 9.Leader discussions. 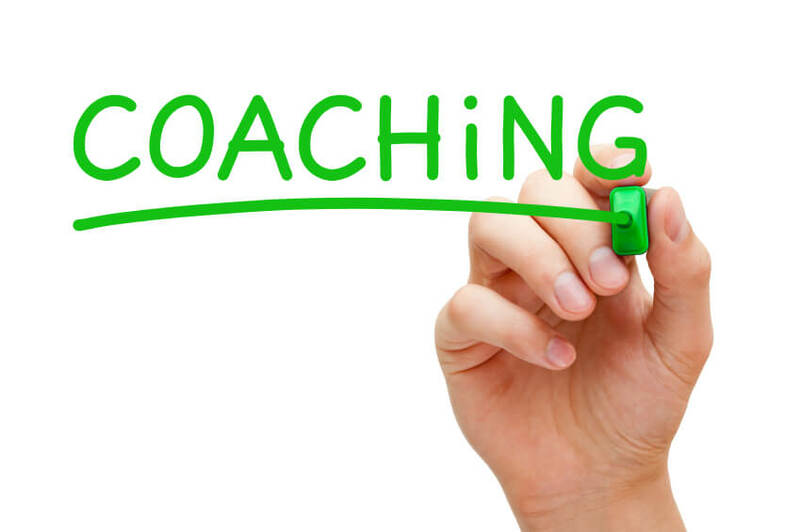 Before and after each team coaching session, and at other times when needed, the coaches should meet with the team leader to plan, debrief and address concerns. These meetings also provide the opportunity to recalibrate portions of the process, if necessary, and to keep the leader feeling confident in his role. 10.Laser coaching of team members. There will be times when the coaches will need to address issues with team members that can’t be addressed in a team setting without embarrassing the team member. This should be done in single, private coaching sessions whenever the coach or a team member requests it. 11.Action learning. It is very helpful to bring the team on field trips to observe high functioning teams as well as individuals in unusual, creative roles. Then, the team can discuss what they’ve learned and how to model these behaviors. 12.Progress scoring. As time goes by, perhaps as often as monthly, the team, with the help of the coaches, should track its progress against its goals, measuring changes from the baseline scores. 13.Final outcomes. As the team coaching comes to a close, the team should document its progress, discuss specific outcomes and assign itself final scores. 14.Celebrate success. It’s Miller time, time to smell the roses and talk about personal and team growth as well as commitments for the future. This last step is as important as the previous ones. It’s critical to acknowledge endings and new beginnings, giving closure to a successful program. As you can see, team coaching requires both rigor and patience. Don’t confuse it with team-building exercises or team awareness workshops. There are no short cuts. If you want success, you need to follow all the steps. If you begin at the top with the senior leadership team, then these team members will naturally cascade the changed behaviors down through their teams. If you formalize this natural process, then, surprisingly quickly, you can change the way your teams function organization-wide.